My brother was diagnosed with MS almost one year and a half. He is 28. He had problems with the left leg (numbness), his vision blurred oftentimes and his left ear was damaged (he lost almost 50% of his left hearing). I'm writing this post to present Dr. Cícero Coimbra treatment for autoimmune diseases. The treatment consist of High Doses of Vitamin D3 + Vitamins and Minerals + High doses of 500 DHA + Restriction of Calcium (diary is not permitted) + 3 or 4 liters of water everyday. The treatment has 95% of efficacy on autoimmune diseases second the research of Dr. Coimbra and Dr. Michael Holick (american doctor). Specially with MS. It's better than Low Doses of Naltrexone (LDN). However, people that uses Dr.Coimbra treatment in conjunction with LDN get even better. (My brother doesn't started the LDN treatment yet). Dr. Holick and Dr. Coimbra discovered it. The Parathyroid hormone (PTH) exam oftentimes shows this resistance. When you supplement with high doses you normalize your immune system. Then, it stops to attack the myelin. My brother and almost all the people that I know never had a bad side effect (there is a community in Brazil with 10,000 people that follow this treatment). He takes 180,000IU of Vitamin D3 every day and he weight 265 pounds. The levels of Vitamin D3 is calculated using your weight and the levels of Parathyroid hormone (PTH). Dr. Michael Holick is a renowned american doctor. 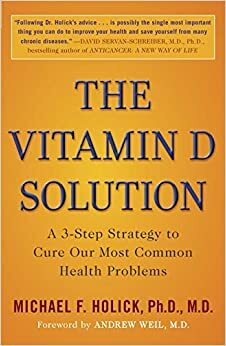 He is a worldwide authority in Vitamin D. He wrote a book called "The Vitamin D Solution: A 3-Step Strategy to Cure Our Most Common Health Problems". Dr. Holick and Dr. Coimbra work together to widespread this treatment. However it's more know in Brazil, Italy, Portugal, Spain and South America. The majority of conventional doctors are against this treatment. Almost all the neurologist that my brother visited said that it doesn't work. However the results speak for themselves. 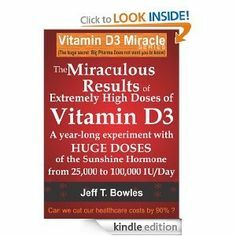 Moreover, there are a lot of researches that agree with this treatment (check the last link below Vitamin D Wiki website). However, it's important to say that this treatment takes a minimum of 6 months to start the good effects (some people get better soon) and with 2 years of treatment the disease stops almost 100% the progression. There are people doing this treatment for 7 years without any outbreak. I posted a link with dozens of testimonies below. My brother is following this treatment for almost 4 months now, without any side effects and he improved a lot. The hearing is almost normalized, the numbness in the leg improved a lot and his vision also improved. In the past the blur took almost 1 hour to vanish. Now it takes only 10 minutes. Last edited by AntonioBR on Sun Dec 13, 2015 6:48 pm, edited 12 times in total. These MRI are the exams of a community member in Brazil. You should read them from left to right. She begun the Coimbra's Protocol just at the beginning of MS.
Last edited by AntonioBR on Mon Dec 21, 2015 8:19 am, edited 7 times in total. I forgot to mention that the majority of people that follows this treatment don't need to use the conventional medication anymore. My brother would take Interferon but with the improvement made by this treatment he left it. Of course that only the doctor can stop the conventional medication. Moreover, my brother follows the Wahls Protocol created by Dr. Terry Wahls. He improved even more his condition. Wahls diet is awesome. Last edited by AntonioBR on Sun Dec 13, 2015 5:46 pm, edited 1 time in total. Dr. Holick and Dr. Coimbra discovered it. The PTH exam oftentimes shows this resistance. So, when you supplement with high doses you normalize your immune system. Then, it stops to attack the myelin. However as I said above is necessary 6 months to 2 years for all the normalization of the immune system. Last edited by AntonioBR on Sat Dec 19, 2015 3:34 pm, edited 2 times in total. nice posts. I'm also on high doses of vitamin D and found experience very similar to your brother. We have in Europe doctors, who follows Coimbra's approach to stop progression. Doctor list is seems increasing and it is very good news to all of us. Good to know about your results with Coimbra's approach. Fortunately it's growing worldwide. Specially in Europe. However in America it's very unknow yet. I read so many testimonies from people in US and Canada, suffering many outbreaks and MS progression. I want to help them. By the way, do you follow some diet protocol? I mention that because my brother started one month ago the Wahls Protocol and he is getting even better. Coimbra's approach + Wahls Protocol works fantastically together. Last edited by AntonioBR on Sun Dec 13, 2015 5:52 pm, edited 2 times in total. Excellent to mention this scientific study. I read it. Coimbra's approach is getting more evidence every year. I know two persons in Brazil that follows this treatment for 10 years with any outbreak. And many others with 7 and 5 years following the treatment. They stopped the MS progression. And many brain lesions was cured. If you add the Wahls Protocol in conjunction it will be excellent. Thank you vilnietis for share your experiences. I listened about Dr. Swang diet but I never read about Dr. Jelinek. I will search about it. By the way, Have you tried Low Doses of Naltrexone? because, I read some good reviews about it. Seems that LDN can't rebuild the brain lesions but it can reduces the disease progression. There are 2 persons that I know, they use Coimbra's approach + LDN + Acid Alpha Lipoic and they are going very well. I have put down on my personal file your combination. Will look into it if I will feel a need of something more. Now I'm feel perfectly fine and will follow doctors recommendations regarding vit. D high dose and supplements ;) Thanks! Vitamin D based on MS severity, PTH results, weight. Usually 1000IU/1kg. Vitamin D is taken in the morning, all dose at once after breakfast. Other supplements 3 times per day after food. This is not a cure, but if you take vitamin D your MS progression is stopped - you should not have fatigue problems, headaches and etc. Of course it depends on your current condition as well. Also people usually gets better during first 2 years, some of them much better. All supplements are needed to optimize vitamin D absorption. Some people need much more than 1000IU/1kg, some people need much less than that. Again, PTH shows resistance to vitamin D and what dose is required. Also you need to be on low calcium diet (diary - not allowed, nuts - one tablespoon per week) and you 2.5L of water to flush out kidneys. This is the protocol. The best way is to find a doctor, who follows the protocol. He examines kidney and liver condition by blood work and urine test and explains the basics. I did it by myself without doctor supervision for first 2 months and later on found a doctor, who know is following me. You can easily google about doctors, more about protocol and etc. Just google "coimbra protocol high vitamin D" or similar text, you will find many blogs and sites about it, and doctors as well.